A view of the XFL football taken on the field before the game between the Las Vegas Outlaws and the New York/New Jersey Hitmen at the Sam Boyd Stadium in Las Vegas, Nevada in February 2001. 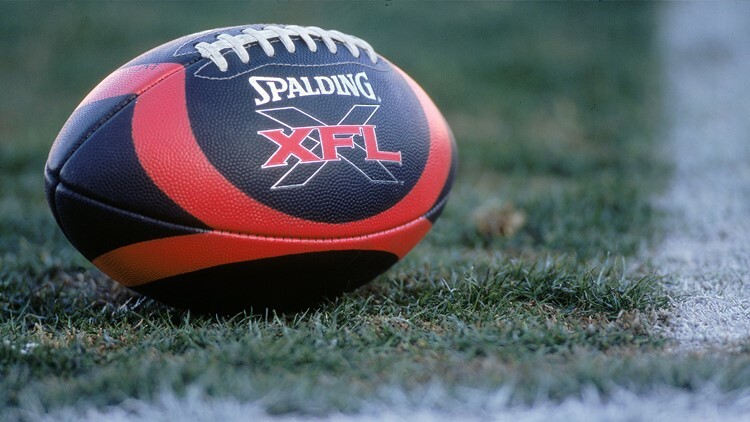 The XFL is set to debut (again) the weekend of Feb. 8-9, 2020. Professional wrestling promoter Vince McMahon plans to have eight cities with XFL teams when the off-shoot football league relaunches in 2020. The cities slated to host teams are Dallas, Houston, Los Angeles, New York, St. Louis, Seattle, Tampa Bay and Washington, D.C. The XFL league played one season back in 2001 and was known for its intense style, colorful personalities and big-time backer, Vince McMahon. The football league is promising to bring the 'fun' back to football and put "fans above all." The XFL is set to debut the weekend of Feb. 8-9, 2020. Luck said fans can reserve season tickets online, starting on Wednesday.